Bernie Sanders criticizes Hillary Clinton on Henry Kissinger. 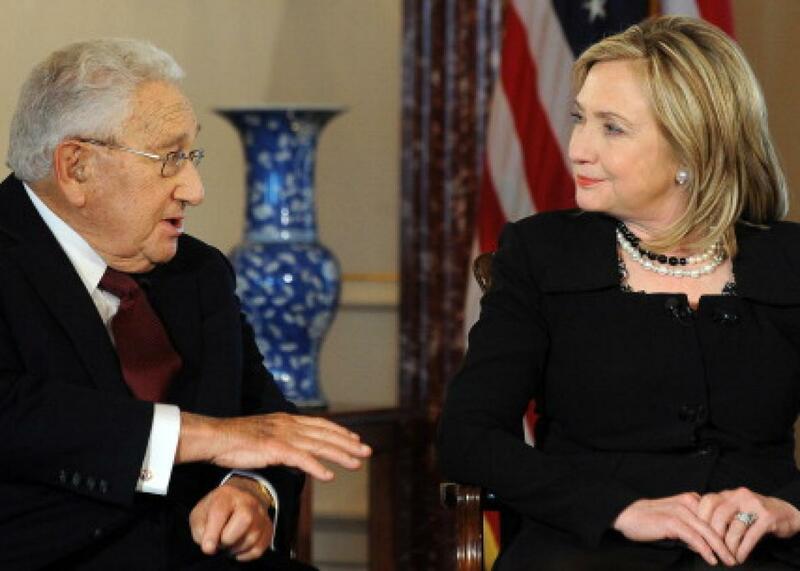 Henry Kissinger and Hillary Clinton at a State Department event in Washington, D.C., on April 20, 2011, while Clinton was Secretary of State. The secretary and I have a very profound difference. In the last debate and I believe in her book, very good book by the way, in her book and in this last debate, she talked about getting the approval or the support or the mentoring of Henry Kissinger. Now, I find it rather amazing because I happen to believe that Henry Kissinger was one of the most destructive secretaries of state in the modern history of this country. I am proud to say that Henry Kissinger is not my friend. I will not take advice from Henry Kissinger, and in fact, Kissinger’s actions in Cambodia when the United States bombed that country, and created the instability for the Khmer to come in, who butchered generations of people—one of the worst genocides in the world. So count me in as somebody who will not be listening to Henry Kissinger.